Moldova has been a YPT staple for a number of years. We run a minimum of 6 tours there annually and have pioneered adventure travel into the darkest corners of the country whilst gaining some incredible experiences in the process. However, Moldova gets a bad rap; it’s no secret that this is the poorest and least-visited country in Europe. Mass Soviet architecture, bizarre customer service and grumpy babushkas tend to scare off the average backpacker used to Paris or Rome, but for YPT-style adventure travellers, this country is a full of surprises! Even amongst the most seasoned travellers, the little-known breakaway country of Transnistria can summon a few confused faces. Straddling the Dniester river and Ukraine, Transnistria is a Russian-backed, self-proclaimed republic which fought a brutal civil war against Moldova for its independence between 1992-93. It has its own military, government and KGB secret police (yes, they still call them that!). Travelling to the capital of Tiraspol is like going back in time as Lenin, the hammer and sickle and Soviet Propaganda are still a feature of everyday life. However, today the country is more or less controlled by a sinister corporation called ‘’Sheriff’’, which was founded by former KGB agents, and its presence is felt everywhere. The Soviet mentality is still going strong with suspicious authorities, bizarre systems and poor customer service. Twice a year they roll out the troops and tanks as a show of force in some of the last Soviet-style military parades left in Europe! Transnistria has to be seen to be believed, from the gleaming oligarchic capital of Tiraspol to the forgotten war-torn villages dotted around. Transnistria has an even lesser known little brother: the semi-autonomous republic of Gagauzia, who also fought a mini civil war with Moldova for a slice of independence. Whilst the Gagauzian war was nowhere near as brutal and their independence is not as clearly marked, this bizarre little republic is very off the beaten track travel and seriously unique. It is populated by the Gagauzian people, who originate from the times of the Ottoman Empire and have a distinct language and culture. This is the only place in the world where you will see a Lenin Monument, a Soviet Afghanistan war memorial and an Ataturk monument within a few metres of each other on the same street. Unfortunately, Gagauzia is one of the poorest regions in Europe’s most poverty-stricken country, which has led to an exodus of youth heading to Western Europe or Moscow in search of better prospects. 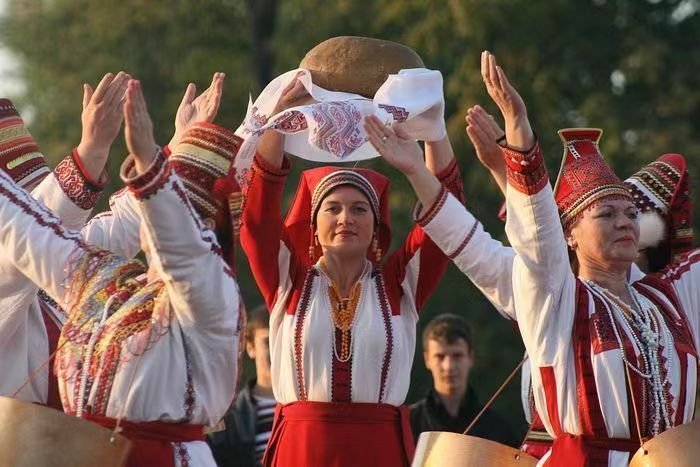 As a result, their distinct and little-known language of Gagauz is under such a significant threat that is has been placed on an endangered language list. For your chance to visit, our upcoming annual tour for Transnistrian Independence Day also features an awesome road trip into Gagauzia, with a BBQ and vodka feast in an isolated village! Ah, Cricova! Any YPT veterans of our Chernobyl and Transnistria tours should be having flashbacks of “What is Wine?’’ as they read this. Cricova is an underground winery based on the outskirts of the Moldovan capital. Whilst wineries aren’t really YPT’s style, Cricova is something special. Board a train of golf carts and descend 100 metres into former Soviet mine before entering a cinema and watching the most tacky introduction video known to man. Throw hastily-refilled wine glasses brought direct to your seat and you’ve got yourself an experience. You’ll then speed off to see the personal wine stashes of some rather well-known personalities: there is wine belonging to everybody from Vladimir Putin and Angela Merkel to the liberated collection of Hermann Göring. But the highlight of the tour by far is the wine tasting, which consists of a large array of complimentary wine and usually takes place in one of three awesome and swanky drinking halls: The Vladimir Putin suite, where Vlad celebrated his 50th birthday party; the Yuri Gagarin suite, where Yuri got so hammered on a two-day bender in 1966 that he claimed it was easier to get to space than to pull himself out of Cricova; and last but not least the nautical suite, with its beautifully tacky recreation of an underwater scene, complete with a DVD loop of fish playing on the TV. In a country that doesn’t have a coastline, this is as good as it gets! Moldova – more than dilapidated tower blocks and poverty. Join us on tour and see this off-the-beaten-track destination for yourself!